"That lineage and heritage of the shirt and the team is important to me because I think whether you join a club or (play for) your country you need to know the history of that shirt and the importance of it - then you are not playing for the name on the back but for the crest on the front." Rooney's one-off return to the international fold has not been without its critics. England's record appearance-maker Peter Shilton said caps should not be "given out like gifts", while former Blackburn and Celtic striker Chris Sutton said his inclusion "devalued the international cap". 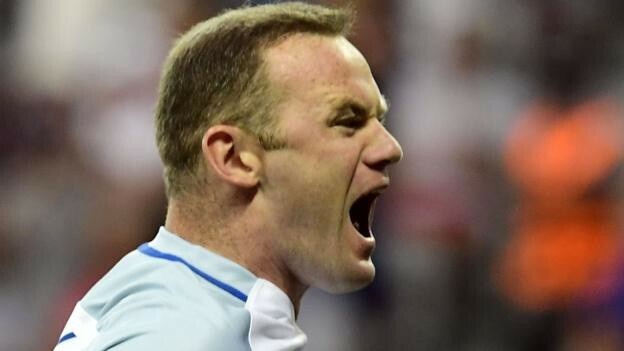 Southgate says the criticism of the Football Association's decision to honour Rooney has been a "disappointment". "It's a shame because you want it to be a fitting tribute to an outstanding player who I think has often been undervalued in terms of how well he played for England," he added. "Hopefully, by the time we get to the game, and him being with us next week, the focus will be on 'actually, let's think about what he did and how well he played, and there's an opportunity here to thank him for that'. "Any opportunity for us to honour a player we will hugely respect."